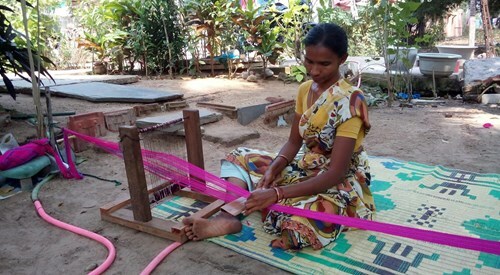 These funds have gone towards the connection of an electricity supply into the weaving workshop. This cottage industry provides much needed employment and income for the families in the community. Solomon and the team are doing the best they can in a challenging environment and investment into the business is greatly needed. The by-product of a successful business that employs women is that the children are looked after and at school. Thank you to everyone who supports this vulnerable community.